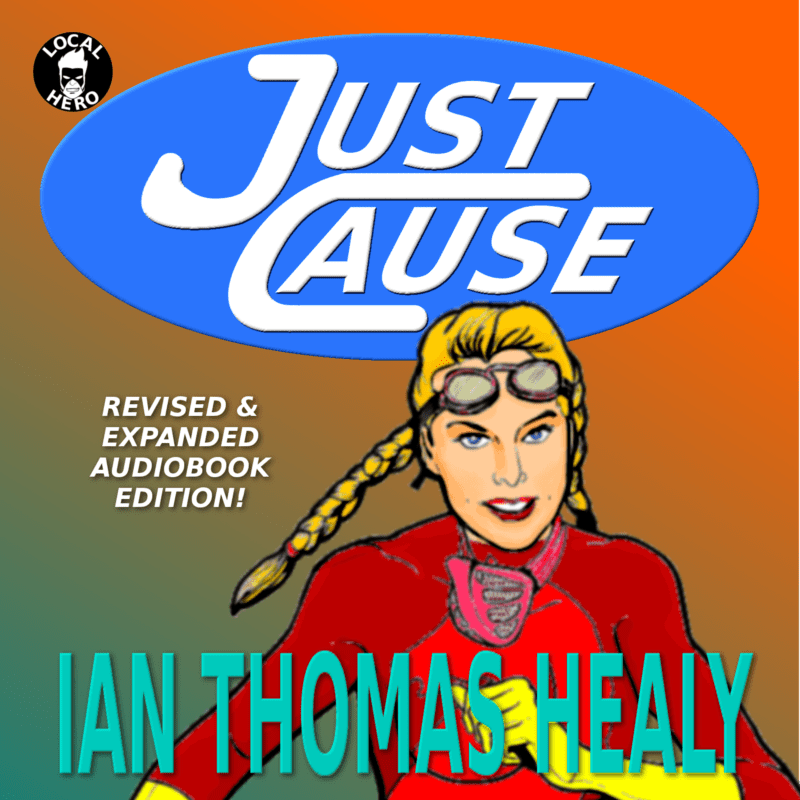 Home/Ian Thomas Healy, New Release/Just Cause now available as audiobook! At every convention we go to, people come by the Local Hero Press table to ask if our books are available in audio. We can now say unequivocally that Just Cause: Revised & Expanded Edition is now available as an audiobook. That’s great, but it gets even better! The audio edition contains the complete, unabridged version of Just Cause, as well as three bonus short stories! The narrator, Leslie Howard, did a stellar job and will be narrating additional books in the JCU. She’s already hard at work on The Archmage! The audio edition of Just Cause retails for $24.95. That might seem like a lot, but you’re getting over ten hours of story for that amount. Got a half hour commute? That’s about one chapter in each direction. Got a long drive or flight for your holiday? This is the perfect way to make it more entertaining.Get Just Cause right here: Audible.comIt will be available on Amazon and iTunes within a couple of days. Happy listening!